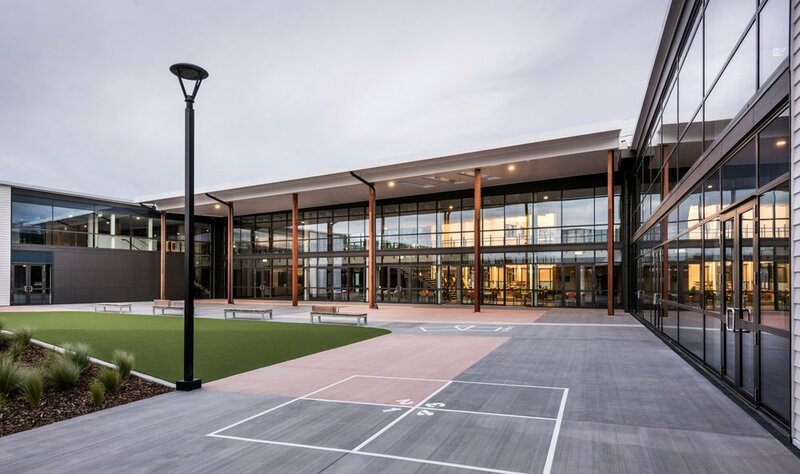 The Rolleston College project is one of four large new school projects won by the ASC Architects/Hawkins construction team as the second of the Private Public Partnership (PPP) school agreements with the Ministry of Education. 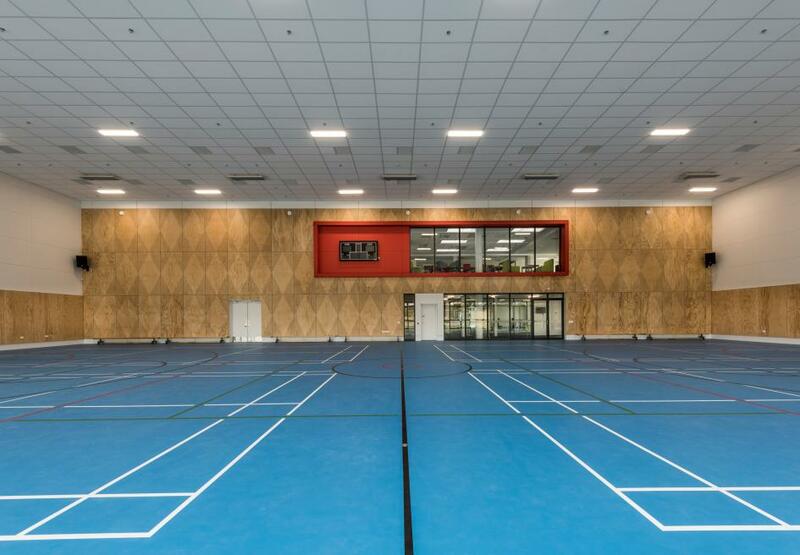 Opening in time for Term 1 2017, this 11,100m2 state of the art facility has been designed to achieve a 5 Greenstar built rating. Catering for 1800 students it supports the approach to learning that emphasises community, collaboration and connectivity in all aspects of school life. The entrance to the school is welcoming and inviting to the wider community. The whare is embraced by the ‘arms’ of the building to welcome the community in. The strong human feel is enhanced by the visual connection through the foyer, providing the visibility of entering a ‘learning community’. The use of selected materials reference traditional methods of building in Maori and Pacifica architecture. This space also connects the café, library and theatre. This is a place for creating, connecting and expressing knowledge. Planning of the learning spaces is carefully articulated to foster multiple educational methods, fostering openness and connectivity. Edges of the learning spaces dilute into the central hub circulation and outdoor learning areas to create multiple opportunities for learning and play in various environments. The irregular internal walls provide nooks and crannies to add a sense of energy, interest and activation. Through sliding glass doors and operable walls, spaces can be open and transparent. The learning arms are different by nature, relatively shallow in plan dimension. This allows good penetration of natural light. Full height glazing gives transparency and visual accessibility. During “after hours” functions and evening use this space will be illuminated and activated to the street.